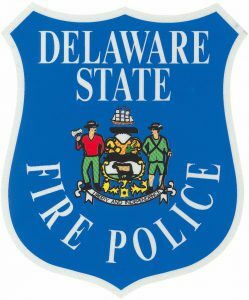 The Delaware State Fire School provides training for the Delaware State Fire Police Officer to obtain the basic knowledge to perform the duties of a duly sworn Fire Police Officer in the State. The training, in addition to any company required training, will give you the knowledge of the duties of the Fire Police Officer, the laws and regulations surrounding the Fire Police Officer, and the roles and responsibilities to effectively and safely direct traffic at Fire and Emergency incidents in the State. Once you have completed the online training required by the Delaware State Fire School, you may submit an application for training credit and a Basic Fire Police Certificate. Upon completion of the Basic Fire Police Course, a Delaware State Fire Police Identification Card can be issued with authorization from your sponsoring company. Due to error with our system, the certificates from ResponderSafety.com Learning Network that were submitted to appear on your Delaware State Fire School transcript did not happen. We have corrected the error, although we have limited the number of classes for display on your transcript. We apologize for the inconvenience. Please submit the certificates and the will be displayed as a waiver at the bottom of your transcript. Since they are not Fire School classes, they will not count towards your cumulative Delaware State Fire School Training hours. You can now allow us access to your Responded Safety Training Transcript. Here are six simple steps to allow us to see your transcript: Secondary Reporting on ResponderSafety.com. More details on how this system will be used by us with you to monitor your Responder Safety training in the near future. Please contact Senior Instructor Vinnie Miller with any questions. STEP 1: To complete the DSFS Fire Police Orientation online, you must submit the Fire School Registration Form for DSFS Fire Police Orientation Online, after setting up your Delaware Learning Center account. The cost for the course is $10. 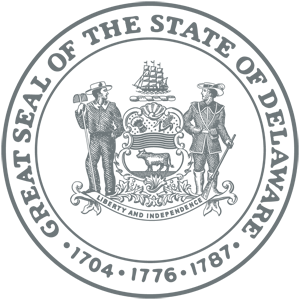 Instructions to create your Delaware Learning Center account can be found HERE. STEP 2: Complete the three (3) additional courses listed below through the Fire Responder Safety Network Training. You will need a separate account log in set up with that website. They have other many other online trainings available. 1) Your application must be accompanied by copies of ALL certificates of the above listed online training. Note: “Credit Hours”, does not necessarily equal “Training Hours”. Other methods may be taken to receive the TIMS training, for example; in a classroom setting or online through the National Highway Institute or similar entity . Those options may require creating additional training accounts other than the Delaware Learning Center or ResponderSafety.com. We are also working on becoming a Secondary Reporting program so we can access your Responder Safety Training Network transcripts. We will share when this is available and how you can help share it with us! The applicant may submit the completed Application for Delaware State Fire Police Identification to the Fire School with the required signatures.